King Hill Farms is a family owned farm and business that has sold native Missouri river bottom pecans for almost four decades. 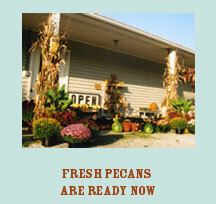 The Missouri pecans are available in our retail shop year-round, and we also ship them anywhere in the United States. 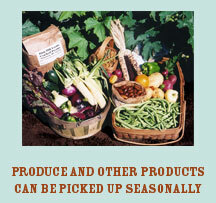 Seasonal garden produce (more than 60 varieties of vegetables) is available from June to November at our roadside stand on Highway 24. 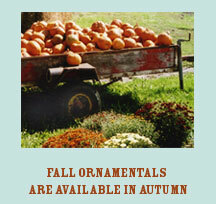 Fall ornamental produce sales begin around the first of September. Many think that the farm name "King Hill" reflects size and location of the first large river bluff on Highway 24, where our operation is located, above the fertile bottomland. In fact, this bluff became known by that name when two brothers by that name lived here before the construction of Highway 24 (in the 1920s or before). Many people in horse-drawn wagons and carriages became stuck in the mud on this hill and the King brother’s developed a reputation for a ready willingness to help stranded travelers. Thus it was often referred to as “King’s Hill” or simply “King Hill.” We strive to offer you the same friendly, mid-western Missouri hospitality as our predecessors. 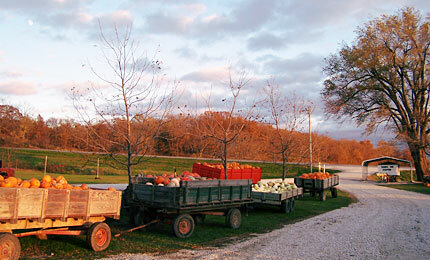 copyright © 2009 King Hill Farms, Inc. All Rights Reserved.